U43 is U30 and U33 merged together. Well actually seem we were right for the U30 and U33. Click HERE for the forum thread of the merge. Click HERE for the forum thread of the poll. A werewolf-themed server “S2 Werewolf” was launched this week. This new server is designed to fit in the time zones for the convenience of European players. For new players, a newbie gift card is now available (Click HERE to claim). And if you “like” this game on facebook, you’ll receive a reward of 50 rubies and a 3 star card with other players when the likes of Ancient Summoner reach a certain number. This on I’ve already wrote about it check it out HERE. Go get it monday it for a limited time only. I was wondering what you guy think I should write about, I’m probably going to write about TKO (merge & trick to manage multiple account) but I need a new game to write about. I still have some material for PPM Manager and some other game but It seem it’s always more fun to write about a new game. Maybe you would prefer that I go back playing Clash of kingdom or Lord of Ultima and write about the new stuff there. Tell me in the comment what you guy think !! Note to my reader, this a another press release from youjoy for the game Odin quest. I didn’t wrote it so might notice that they don’t do the same spelling mistakes I do. I didn’t receive any money from them or anything else except a mail. Enjoy ! Youjoy.com will release its EDT s4 Asgard at 8:00 May 8, 2013. Also, the server name is temporary, and the server will be named after the most powerful hero in the first several days. What’s more, it’s easy for players to obtain this glorious honor and respect, because of the requirement to obtain that is lowered. Warriors, take up arms to fight for your honor! The real hero not only has the super power and strength, but also has the glory honor and respect. There are amounts of methods for players to strengthen themselves, including Upgrade, Enhance, equipping advanced items, etc. 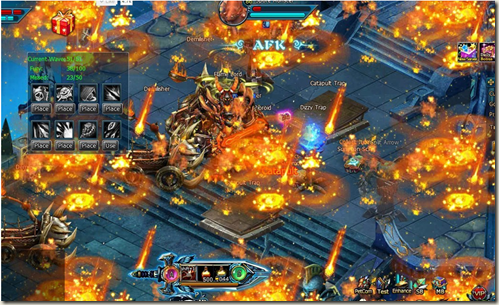 New and advanced dungeons are also released for players to obtain honors. Devil Prison is one of these advanced dungeons. For all human’s safety and peace, warriors of Medgate have challenged the Devil Prison and fight demons alone. Facing those powerful evil monsters, they have to do their best to get through every pass and defeat all monsters to complete the mission. Arm yourselves to fight for the Medgate now! There are 10 powerful and fierce BOSS in Devil Prison and they all want to tear every challenger up. Are you ready for challenge them? Will you venture? Real hero will weather the storm of difficulties and challenges until they bring home the bacon! Besides, series of interesting new events have been prepared on new server. Players can obtain more and awesome items and bountiful exp to advance your game experience! Can’t wait to enjoy the game now? Then join and experience it with other awesome features on www.youjoy.com! YouJoy.com is an online browser game publisher who has successfully published DDTank and Call of Gods. Odin Quest is an MMOARPG that based on Nordic myth originated from Iceland and surrounding countries during 1st and 2nd century. Players will fight with their mates to build their own supremacy. The following text wasn’t written by me but is a press release from Yoogames. Don’t worry guys, I’m coming with a bunch of article. As a world leading browser game publisher and operator, Yoogames recently announced the launch of the closed beta server of Castlot, a middle-age background strategy game on PDT 5:00AM March 21, 2012. During the closed beta test, various events are going on and all players will get FREE ingame Diamonds on Yoogames Castlot Closed Beta Server! The release of the new game is another constructive effort by Yoogames to carry on its mission of bringing best games and most fun to all players around the world. Castlot is a revolutionary strategy game with originality added to all classic features: city buildings with more freedom of customization and decorations, resource collecting with goblins and cases to steal and protect, hero skills that can be activated with different combinations, etc. Setting in middle age, Castlot will give players the experience of being a lord of a castle, starting their legend in the faction of Bright or Darkness. On their journey they will encounter ancient legendary heroes (“Epic Heroes”) to help them. Heroes have unique talents and war elements to, if wisely accompanied with players’s strategy, take advantages on the battlefield. 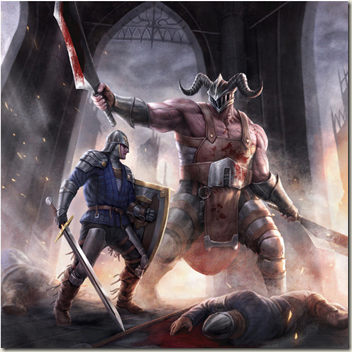 Different Heroes, Lords, Cities, Leagues and Factions are fighting, interacting, and cooperating to gain maximum interest for themselves in the world of Castlot. It’s a game to test your strategy. It’s a game about wisdom. Note: After the short closed beta test on PDT 00:00 March 27 2012, the data of all accounts will be deleted, and players who have recharged during the test will be given their Diamonds on the latter open beta server with bonus. It been awhile since I haven’t wrote a blog post and they’re actually good reason for that. It actually because I recently joined a game company has a programmer lasts august, note that it’s not koram by the way but I still like what they do and love TKO and CoK. I still waiting for legal approval to see if I can still write here, however I might be a little biased now that in a game company but since they do mostly console it should be safe. I just want to say I’m still surprised that there still a lot of regular visitor that come each days even If I haven’t updated for a while. What I’ve been playing a lot of new game recently, there a lot of web and social game that I want to reviews. A good load of them are on Facebook but other are an unique niche (web hockey) that I wanted to build a similar game like them but now I can’t because of legal engagement so that great for you, you get to read my analysis. 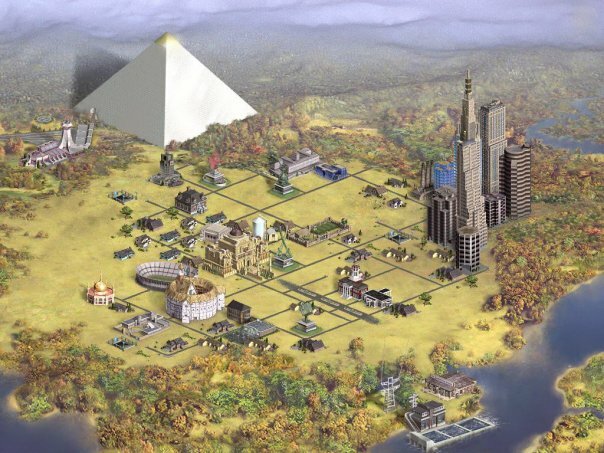 CivWorld: I like the idea they did but it feel too much like a farmville with boring minigame. A my brute clone made by Koram with boost and stuff you can buy. 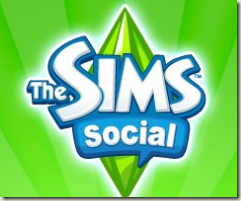 I was a sim fan and my wife too when I was younger so we joined and played together. My wife actually got bored first. Cafe World (zynga) & Restaurant City (playfish) : I had a idea for a restaurant game, basically wanted to check what the big name did for that and well I’ve haven’t work on it since then. Aviator and Airport city: I wanted to check if there something like Koei areobiz airport city somewhat have some similar feature that aerobiz used to have but it’s not has compelling. Garden of time: Puzzle game not much to say. Not a web game but a online one, I like the concept of collecting the monster like Magic the gathering. Played via a applet or you can download the client, play various puzzle to build your pirate hideout, boat, get a familiar. 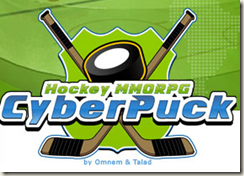 Cyberpuck is a hockey web simulator where you get to create the player instead of owning a team. It a interesting approach, you can buy stuff and own a team instead. I shamelessly plugged my referral link there, I won’t make any money though just some useless cyberpoints. Power play manager the last one I tried is probably the best so far, you get to recruit not only the player but the staff too and you own the arena. I Keep posting don’t worry, but it should be not more that 1-2 time week. If you have any suggestion of game to try feel free to post it in the comment. Koram have gone crazy, there now a new item (the Earth Seal) the turn a 15 farm field city in a 18 farm field city. You’ve read it, 18 farm field ! That mean all the field of your city will be for food. So what a 18 farm field city look like ? With emperor’s order (treasure bowl or token of rain), Cao cao, metal alchemy scroll and the level 10 league resource bonus you can boost you food output even more. – emperor order provide 25% food bonus. Note : that I don’t know if heroes can stack skill book with mid skill, if they can Cao Cao could have a farm skill to increase the food output even more. Edit : Like Bazzz pointed out the bonus mid skill don’t stack so I modified the gold section. The site is not acquiring a lot of visitor recently so I decided to try new theme on it, so expect the site to change from day to day. I’ll probably create a twitter account to have some follower come in and interact more directly. If you have any suggestions don’t be afraid to leave them in a comment. 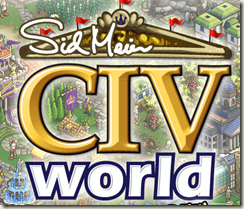 After countless copy of the original game and civilisation wannabe, the real guy (Sid Meier) behind civilization has announced that civilization on facebook is coming and will be called civilization network. I just hope that the game will have all the fun stuff of the original and less non stop clicking of the copycat ans other web browser game that ressemble to the original civilisation. 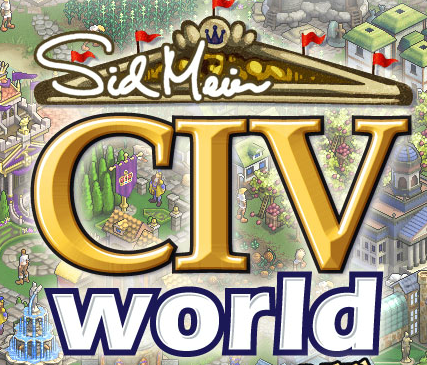 Here the article on IGN and if you want to have a shot at the private beta, you have go to facebook and become a fan of the new civilization game civilization network and if your lucky you might get pick to try the game. Note, it seem the article was in 2009 and we’re in 2010 and the private beta haven’t started yet, anybody know more about this ? Nothing big here but at least it give the fonctionality other browser game had. Finaly we wanted to rename our league to become a state league but we couldn’t. At least it won’t be a problem with the next version. More on the TKO forum here.